It’s heating up in Toledo, which means it’s time to enjoy a meal at a local restaurant on their outdoor patio. No longer must you sacrifice quality outdoor time during your lunch hour! Instead, get some fresh air while you enjoy a quality meal or drink with friends and family. Not only is Bar 145 a great place to grab a burger — it has an atmosphere that is equally as enticing. Their outdoor space was recently remodeled by Maumee based designers, Flory Re-Decor & Design. Bar 145 restaurant specializes in burgers, bands and bourbon — all of which can be enjoyed inside or outside! 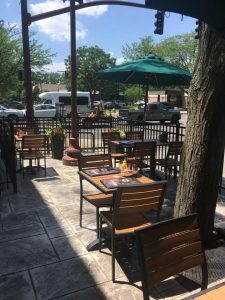 The best setting to enjoy authentic Mexican food and tasty margaritas is on a lively outdoor patio. El Camino Real’s location at Sylvania Avenue has one of the largest patios around, drawing crowds from all over! 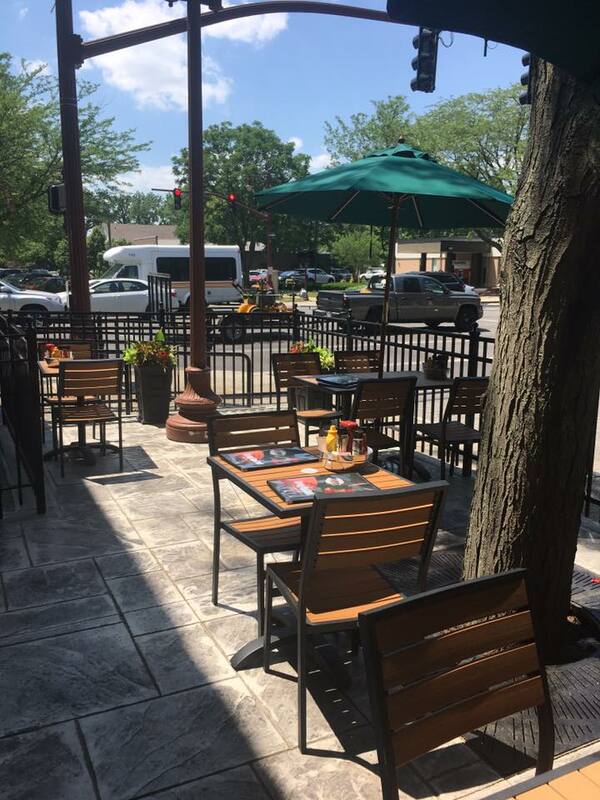 Sit back, relax, and enjoy the exciting atmosphere on the patio at El Camino Real. El Vaquero Mexican Restaurant has several locations in Ohio and Michigan, one of which has a particularly exceptional outdoor patio. El Vaquero at the Docks provides picturesque views of the Maumee River and downtown Toledo as you enjoy amazing Mexican food prepared with fresh and unique ingredients. 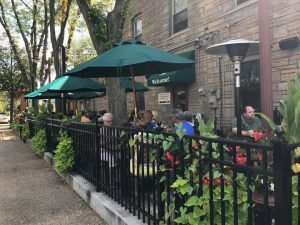 The outdoor seating visible from the road at Manhattan’s Pub ‘N Cheer in Uptown attracts crowds into their space to enjoy New York-inspired cuisine in the glorious summer sun. Manhattan’s location and overall feel provides a unique combination of city life and a comfortable neighborhood pub. This is the second summer since Dale’s unveiled their relaxing patio oasis. It’s dog friendly, so bring the pups with you to enjoy the sunshine! 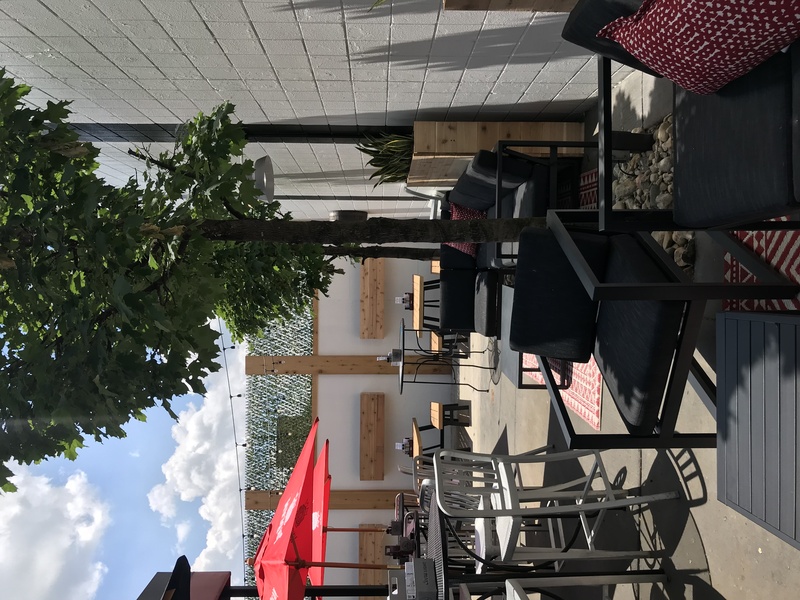 Whether you’re dropping by for Tuesday night Trivia, live music, or to sample from their collection of beers and wines, Dale’s is the hotspot in Maumee for patio fun. Real Seafood Company is another restaurant located at the Docks with an amazing outdoor patio area. Enjoy sunset views looking out over the river while you indulge in Real Seafood Company’s full and robust range of seafood options sourced from the Great Lakes and the Gulf of Mexico. Check out their 6-foot raw bar, offering clams, mussels and a fresh catch! Pair a glass of wine with a hearty Italian dish on the peaceful patio at Rosie’s Italian Grille. You’ll be transcended to a Tuscan oasis as you’re surrounded by rustic stonework, lush greenery and a beautiful fountain. 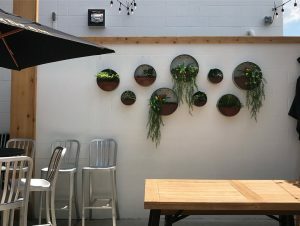 If the weather isn’t exactly conducive for sitting outside but you still want a breath of fresh air, simply sit in their covered outdoor section! Barbeque seems to taste a little better when consumed outdoors. Shorty’s True American Roadhouse capitalizes on this with their covered patio area including huge tables for the whole family to surround, a fire pit, and rustic industrial touches that complete the experience. The Oliver House hosts several businesses under one historic roof. Perhaps the most well-known business in the collection is Maumee Bay Brewing Company, a local brewery crafting delightfully drinkable ales, lagers, porters, stouts and the like. 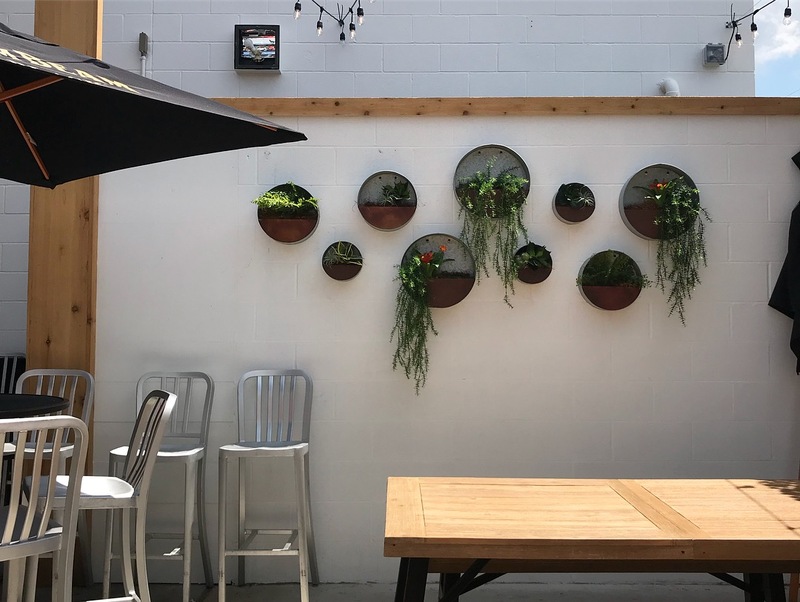 There is a secluded courtyard patio right outside The Café at the Oliver House, where you can enjoy a fresh salad, soup or sandwich in this intimate and relaxing atmosphere. 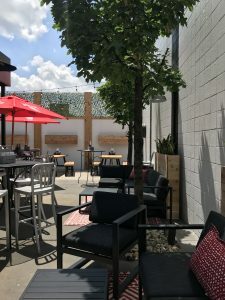 The private patio tucked behind Wesley’s Bar & Grill is one of the best-kept secrets in Toledo. Play corn hole or bocce on their bocce court while you sip on one of their brews with friends, co-workers or your significant other. This is a fun and action-packed environment for gathering and enjoying warm summer nights! 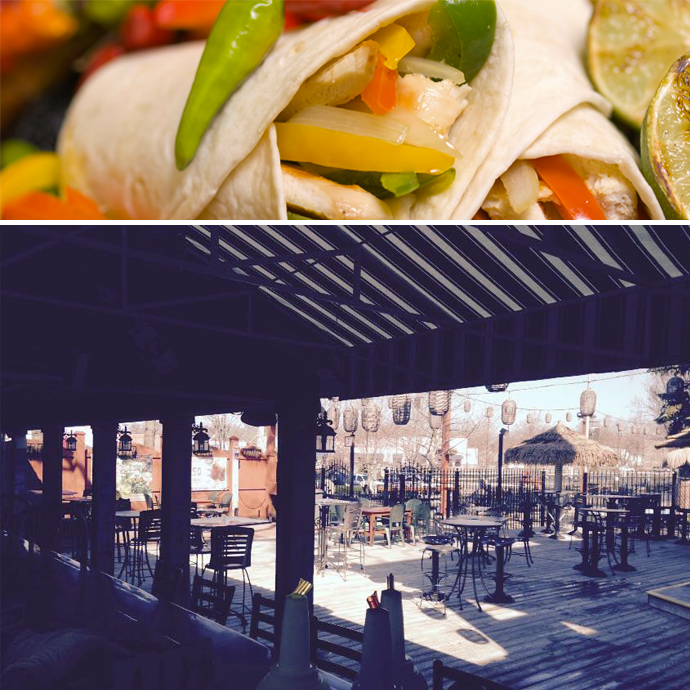 Zia’s is another riverside restaurant at the Docks offering exceptional views of the Maumee River — especially visible from their outdoor patio. Enjoy fine Italian cuisine in this casual and relaxed atmosphere as you watch the sun set over the river. 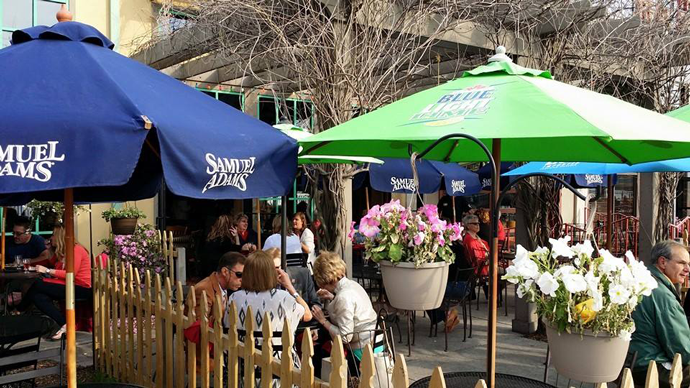 Who has your favorite outdoor patio space in Toledo? We’d love to know what we’re missing out on!